An annual event open to Area V 6th grade students. This is an outdoor experience in which students are given the opportunity to explore and learn about many different areas of their environment including water quality, fisheries, trees, soils and many more. 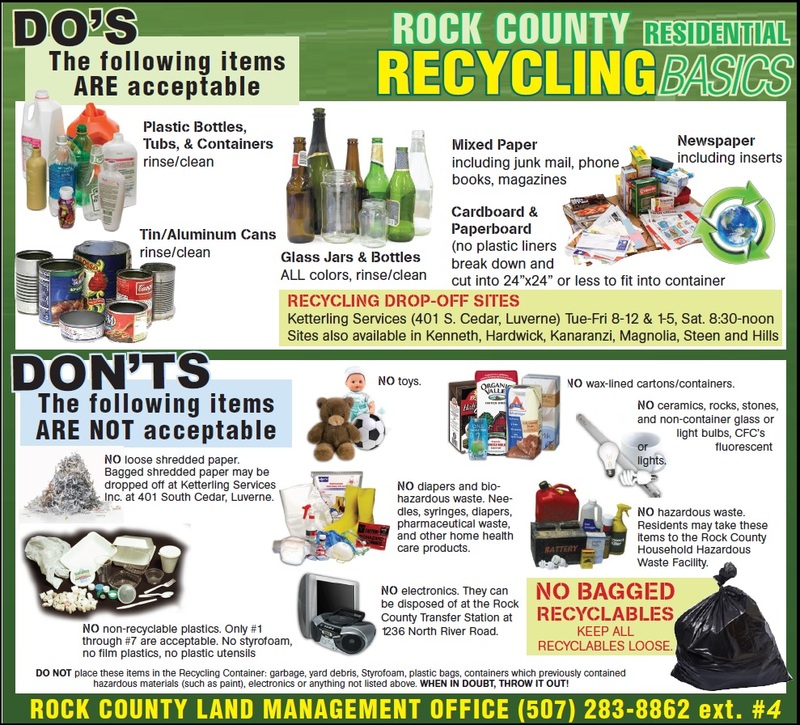 Staff from our office visits the Rock County schools to present a program 5th graders that teaches students what household hazardous waste is and how to identify, store and dispose of this waste. Click on the link below for HHW Product information. Each year the Prairie Ecology Bus comes to the Rock County schools to present an informative and fun learning session to Rock County 3rd grade students concerning reducing, reusing and recycling.